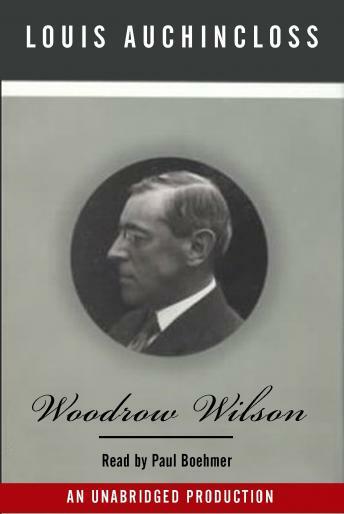 Woodrow Wilson sheds new light on Wilson’s upbringing and career and shows the grim determination that carried him to the presidency just before World War I. From the dynamic figure whose ringing speeches hypnotized vast crowds, to the gentle voice reading poetry to his children, to the rising academic and president of Princeton who made the giant leap into politics, here are all the triumphs and the final tragic irony of this flawed apostle of world peace. In this portrait of Woodrow Wilson, Auchincloss examines a president who is perhaps better remembered for the force of his personality than for his accomplishments. He leaves us to ponder the extent to which Wilson’s character shaped subsequent history.